Woman rowing near mangrove trees. A: To draw attention to the significance of mangrove ecosystems for African survival in the Old World and New World Tropics during the transatlantic slave trade. 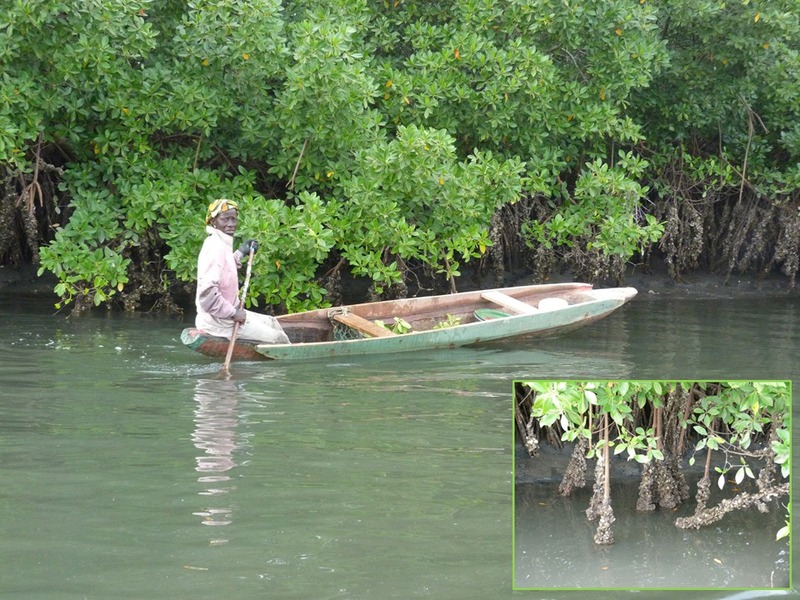 Europeans avoided mangroves because of the deadly fevers that frequently claimed the lives of those who ventured along the African coast. Many were cut down by lethal falciparum malaria, the cerebral strain against which Africans alone carried genetic resistance. The transatlantic slave trade spread the disease to Neotropical Anopheles mosquitoes through infected bloodstream, extending the insalubrious reputation of African mangroves to those of the New World. On both sides of the Atlantic, an environment Europeans feared provided Africans food, basic necessities and at times, a refuge from slavery. Today, Afrodescendant populations in Neotropical areas demonstrate the longstanding human use of an ecosystem, which is threatened by contemporary conservation initiatives that seek to create protected areas without consideration of its longstanding human occupants. A: The discussion considers how a more-than-human geography shaped “place-based-knowledge” of mangrove swamplands. It aims to promote understanding of how African knowledge systems of mangrove resources shaped settlement and survival in slave societies and at times, offered the possibility of escape and self-liberation from enslavement. A: This work makes a contribution to African diaspora studies. To my knowledge, there is no comparative work on African settlement and use of mangrove wetlands during the transatlantic slave trade. A: Similar species of shellfish are collected in mangrove regions, an activity in West Africa and the diaspora that is only carried out by women. African and African-descended populations who today inhabit mangroves illuminate the ways people, plants, insects, microbes, shellfish, and tides framed geography and diasporic identity at the periphery of the Atlantic world. Human-environmental relations are critical for understanding the African presence in the Americas. 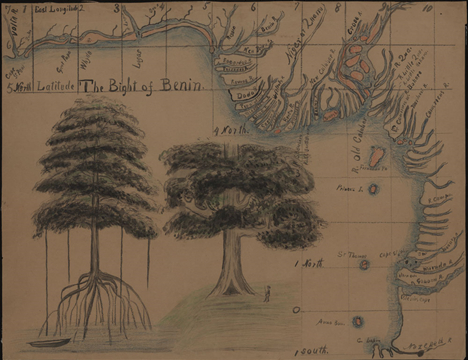 A: Emphasis on African place-making in the New World mangrove ecosystems. A more-than-human geography approach is emphasized that takes into consideration the material world and the role of non-human organisms for shaping diasporic survival and settlement. A: It grounds the role of space, place, and nature within the experience of Africans forcibly migrated to the Americas.